For fans of Twin Peaks and The Truth about the Harry Quebert Affair, this brilliant debut is dark yet hilarious, gripping and ultimately heartbreaking. In Chris Whitaker's brilliant and original debut novel, missing persons, secret identities and dangerous lies abound in a town as idiosyncratic as its inhabitants. 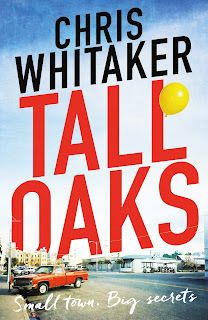 As I'm of the age where Twin Peaks was a must-watch and it was all we ever talked about at school, I was really excited to read Chris Whitaker's debut, Tall Oaks. There are definitely similarities between Twin Peaks and Tall Oaks; both have a cast of kooky characters but instead of 'who killed Laura Palmer', it's 'what happened to Harry Monroe'. Harry was 3 years old when he was abducted from his bedroom, the only clue a solitary green hair from the clown that his Mum, Jess, saw on the baby monitor seconds before Harry was taken. As the whole town reels from the abduction, we are introduced to a cast of weird and wonderful characters, any one of whom could have had a hand in Harry's disappearance. Don't mistake Tall Oaks for a whodunnit thriller, as it isn't just about a missing child. It's a close inspection of a small town which unearths everybody's secrets (and there are some BIG secrets in Tall Oaks). I lived and breathed Tall Oaks for the few days that I was reading it. I felt like I was peering through windows and sitting on sofas observing all the family lives in Tall Oaks. I had the biggest laugh out loud moment I've ever had from a book whilst reading Tall Oaks. I'm not going to spoil it for others by saying what it was but many people will relate to it. We often forget that little ears are listening, absorbing our words like a sponge, only to spit them back out at the most unfortunate and embarrassing moment. It's no surprise then that my favourite family in Tall Oaks was single Mum Elena, teenage gangster Manny and cute little Thalia. I really enjoyed Tall Oaks although I did struggle a bit at first as it jumps around a lot. I could be just sinking my teeth into a chapter about Manny when suddenly it jumped to Jess and I wondered if I had missed a bit. 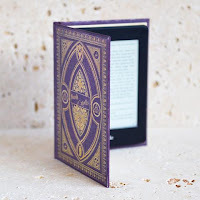 To be honest, it worked well for the book when I got used to it as it added to its quirkiness. As for the Harry Monroe story, that was just sublime - I pointed my finger at everyone apart from the culprit and the way it was revealed was absolutely outstanding. 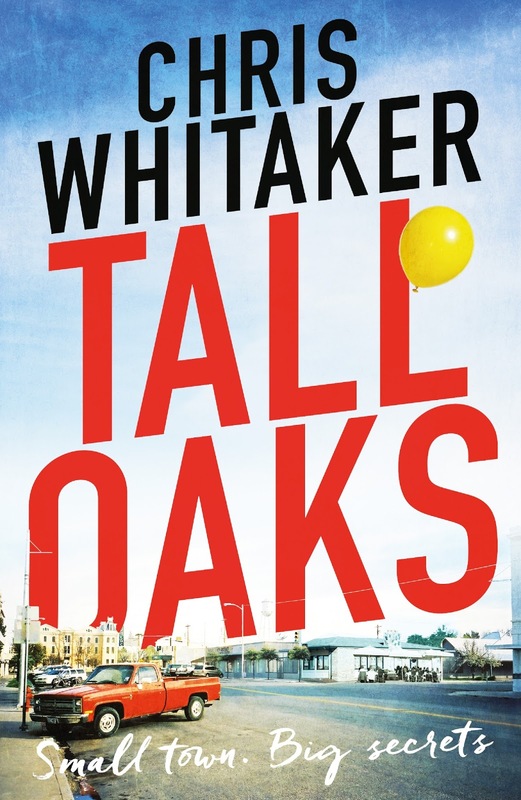 Tall Oaks is an extraordinary novel, impeccably written with humour, emotion and suspense. One minute I was feeling sorrowful for Jess as she struggled to cope with the loss of her son and the next I was laughing at something that Thalia had said. In a town filled with secrets and quirky characters, I experienced an abundance of emotions as all their secrets were revealed. Who took Harry Monroe? You'll just have to read it to find out. I received this e-book from the publisher, Bonnier, via NetGalley in exchange for an honest review.